Blackpool is just down the road from us and that makes it one of our favourite places for a day out. The resort is packed with fun ways to entertain the whole family and Madame Tussauds, right on the promenade close to the Tower is one of the most exciting attractions. 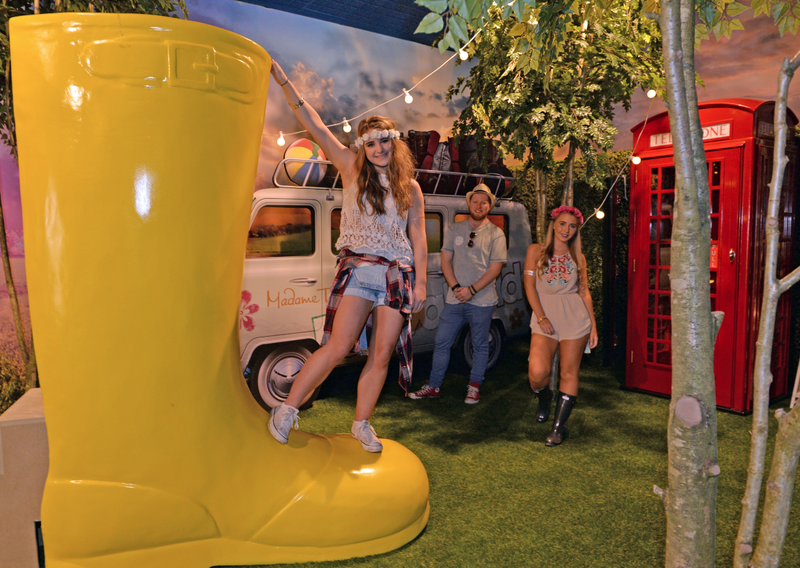 As Spring has finally sprung the team at Madame Tussauds are turning their thoughts to the Summer festival season and have created a brand new area - Festival Fields - to bring a little festival fun to the seaside. I've attended a good few festivals in my time and Festival Fields seems like a great way to get a taste of that festival vibe while being able to go home and have a hot shower and sleep in your own bed! They even have their own camper van on display. Madame Tussauds Blackpool have created a short video to show you exactly what's going on at Festival Fields. It looks like a fab update to the music area there and is bound to delight younger members of the family. If you're visiting Blackpool then dust off your sunglasses and wellies and head down to the festival at Madame Tussauds. Don't worry if festivals aren't your thing as there's a huge display of other celebrities and characters to be found. I'm sure everyone in the family will have their favourite, whether it's royalty, sports people or film stars. It's surprisingly large when you head inside and a great way to pass a few hours. To book tickets, and save money on entry to Madame Tussauds, it's a great idea to buy tickets online. If you're thinking of visiting other attractions you can save money by buying combination tickets with the SeaLife Centre and the Blackpool Tower Attractions. Prices start at £13 for adults, a saving of 20% on walk up prices. Check out MadameTussauds.com for more information.